Robert Shibuya has 35 years’ experience in commercial real estate, shaping the corporate real estate outsourcing industry for most of his career. Mr. Shibuya helped businesses and public institutions manage their leased and owned real estate portfolios to drive cost savings and improve operational efficiencies throughout the occupier life cycle. His expertise ranges from strategic planning and transaction management to facility and project management, reporting and disposition. Mr. Shibuya joined Mohr Partners as President in July 2014 and then transitioned to the role of Chairman and CEO in April 2017, when he led the management buyout of the firm and became its majority shareholder. His primary focus is working with Mohr Partners clients to help them execute achieve their strategic real estate goals and objectives. Prior to joining Mohr Partners, Mr. Shibuya served as CEO of DTZ (now part of Cushman & Wakefield), where he led a $2B revenue global full-service property services firm with over 20,000 employees. The firm provided full-service solutions to both occupiers and landlords in the Americas, Asia and EMEA. 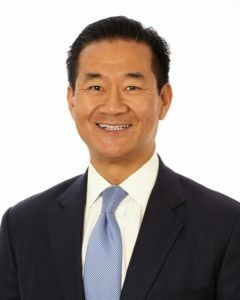 He also served as the global head of corporate advisory services for The Trammell Crow Company (now part of CBRE), where he was responsible for managing over 500 brokers and transaction management professionals who assisted Fortune 500 companies in managing their real estate transactions around the world. He began his career in commercial real estate at Cushman & Wakefield in San Francisco initially as a property/facility manager and then was promoted to Los Angeles to oversee a business unit providing facility, property management, project and construction services to both corporate/occupier and landlord/investor clients. Mr. Shibuya graduated from the University of the Pacific in Stockton, CA with a Bachelor of Sciences in Business Administration, concentrating in finance. He now resides in Dallas, Texas with his wife of 24 years and has two grown sons. He is passionate outdoorsmen and spends his free time fishing, boating and dirt bike riding in the summers and skiing in the winters.